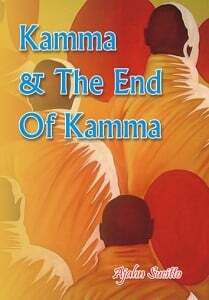 Kamma and the end of Kamma evolved out of the works of Ajahn Sucitto at Cittaviveka Monastery exploring the relevance of the Buddha’s teachings on kamma to the practice of meditation. In brief, when you know how Kamma works, and you have the skills and tools to deconstruct the programs of consciousness, you can stop doing samsara. In greater detail, the Buddha’s teaching is a guide to sustained action in both external and internal domains, in which practice in the external domain – that of effecting a moral and responsive life – sets the guidelines, and encourages the skills, to clarify the inner domain. Causal factors, such as mindfulness, investigation, concentration, and equanimity, can then bring around the effect of abolishing the patterning of the outflows. What remains is a functioning body and mind for this lifespan and an awareness that doesn’t participate in the dynamic of further birth.